"BIOL-O-GEE R.A.P. has created more enthusiasm for Biology than ever imaginable." "This is the way to teach and interest students in the sciences." 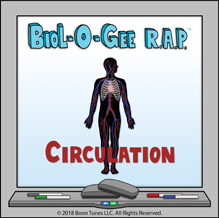 BIOL-O-GEE R.A.P.™ is a series of fun and informative animated music videos and songs geared towards high school and higher ed students, yet enjoyable for students of all ages. The lyrics are set to music, sung, and animated by some of the finest talent in the Entertainment Industry and offer a powerful way to review and recall scientific terms and processes. BIOL-O-GEE R.A.P.™ is a series of animated music videos for high school and college students but enjoyable for students of all ages. The videos provide a dynamic way for students to review and recall scientific terms and processes learned in school; they are supplementary teaching tools that can easily be incorporated into lectures. 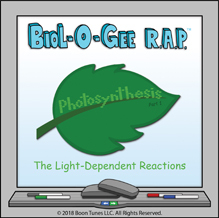 BIOL-O-GEE R.A.P.™ provides an exciting way for you to reinforce the science learned in school. Our rhyming lyrics, catchy beats, and lively animations make learning fun! 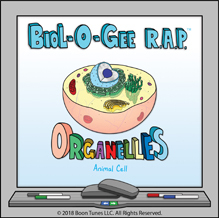 Watch the videos by yourself, with your study buddies, or with your family and friends and "see how cool science can be.... with BIOL-O-GEE R.A.P." 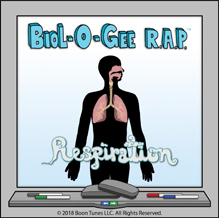 BIOL-O-GEE R.A.P.™ animated music videos summarize classroom lessons in a fun and exciting way. Watch our videos about the cell, human body systems, and photosynthesis with your children - you might enjoy reviewing science as much as they do! Are you interested in understanding the workings of the human cell, human body systems, or in plant nutrition? If you are, look no further! 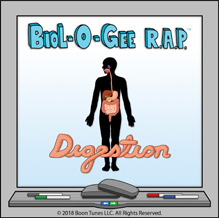 BIOL-O-GEE R.A.P.™ animated music videos provide dynamic presentations of these topics in a concise yet comprehensive way.